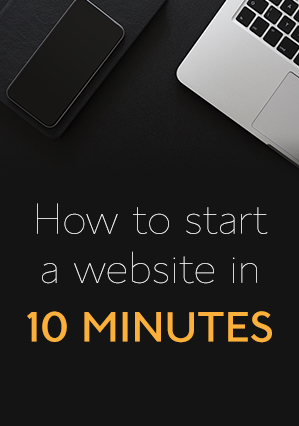 ‘’How to create a blog’’ and ‘’How to create a website forCameroonians. In the last section we published a word press website. After publishing a word press website, you need to create the best website in the world which no one will be able to resist. If you have coding knowledge, then you can make use of the child theme to give your website the look you desire. If you don’t have coding knowledge you can still give your website a unique look by making use of Word press themes and Plugin. At this level, you have the option to go for free templates or paid ones. The same thing goes with plugins. I will give me recommendations here . There are thousands of word press themes available for you to choose. However you should becareful as some are not search engine optimized which is not good for you website. My recommended template is X Theme. You can buy xtheme by Themeco on Themforest at $55. This is far more lower than the average theme price of $59 on theme forest for word press themes. If you have coding knowledge then maintain the free theme on your website or get another free theme in the word press theme directory to get started with. Xtheme is suitable for those with programming knowledge as you can give it the look that you want since the them has several options to add a customized code. There are other themes like the genesis them and the latest thrive theme which you can equally give it a try. This is not all. You can get thousands of word press themes online depending on the type of website you want to build. A good place to start with is on theme forest as they have over 26000 products available for word press users. With many word press developers in the word press community several plugins are available to assist you in your word press project. Recommendation Group1 ( if you purchased the xtheme). Why I recommend Xtheme is that it can help you save upto $1000 for plugins at just $55. This is one of the most wonderful experience I have had in my life exploring word press theme. *WP profit builder(Paid), if you want to change your website into a lead magnet. Get Word presses hosting on the link below and inbox me with your purchase details. I will give your 5+ premium word press plugins worth more than $100. Just as a reminder, there exists worpress.com which is a free service. This option has so many limitations as you are restricted to the themes available, you cannot use themes you have created, you cannot have access to cpanel, you get ads on your blog among others. We are developing here with wordpress.org. As we move forward, I will expose what the difference between these two plat forms is. We will need a hosting account+ domain name to start our word press site (Installation) . After installing the word press site, we will need word press theme that suits our project to get started. To add value to our themes, we can make use of plugins. For developers you can edit the various theme functions to give it a look that you want. We will be seeing how to install a word press theme in our next post after which will comes how to install a word press plugin.